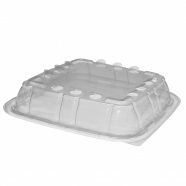 The Crisp Food Technologies® Containers use an exclusive, convection cross-flow design to relieve moisture and condensation while maintaining product temperature. 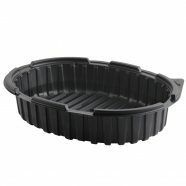 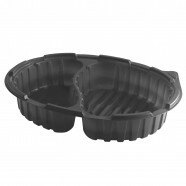 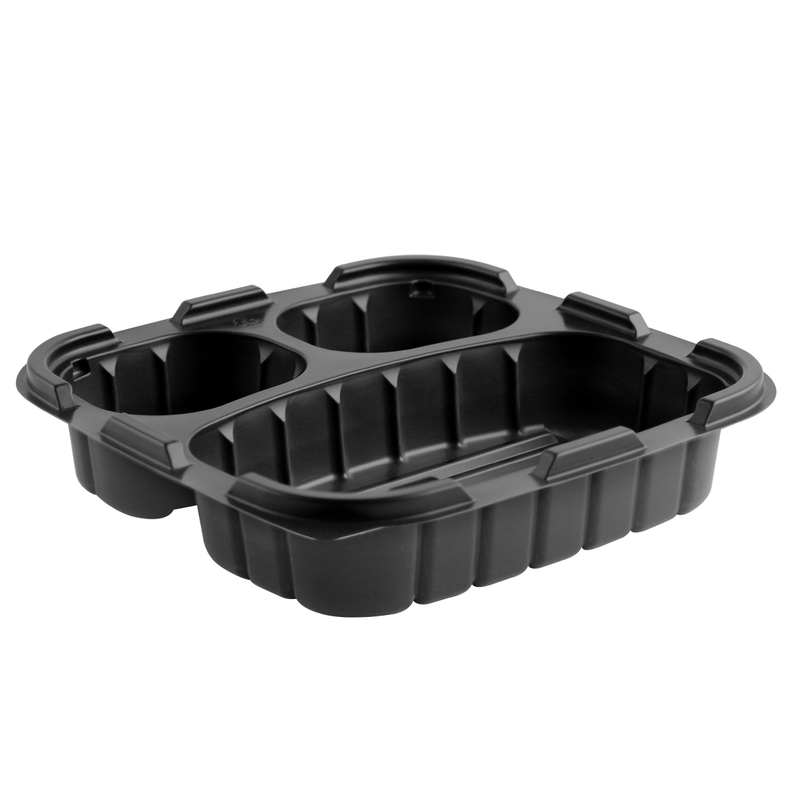 Through-the-closure ventilation, along with raised airflow channels in the base of the container, combined with venting in the anti-fog lid, ensure that fried foods remain hot and crispy. 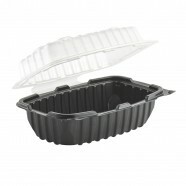 The unique design of this packaging system retains internal temperatures and food texture better than other containers currently in use for fried foods. 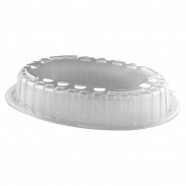 The package will withstand temperatures to 230°F under heat lamps, in warming units, and the microwave. 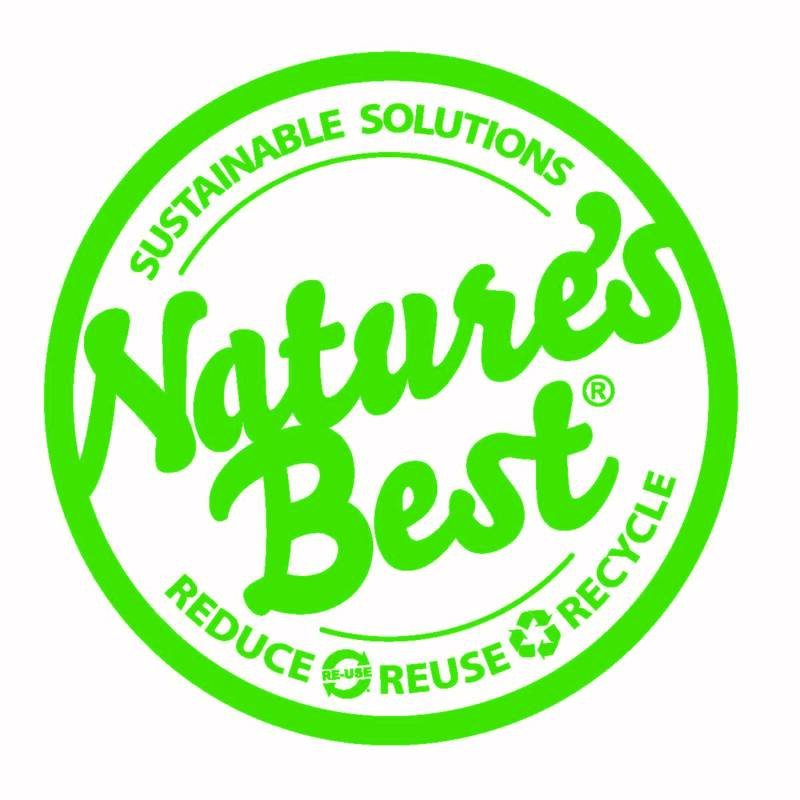 Independent, side-by-side tests at several leading retailers and restaurant chains demonstrate that the Crisp Food Technologies® Containers preserved temperature and texture of fried foods longer than competitive materials during 30-minute home delivery. It also outperformed the other fried chicken containers in the Supermarket Deli hot case: Better texture, better temperature retention, better tasting fried foods. 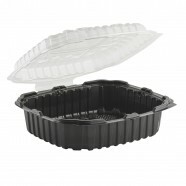 The package holds hamburgers and fries, pieces of fried chicken, wings, and a variety of other fried food items. 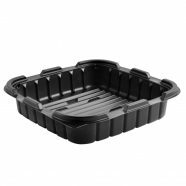 This base contains 40% less polypropylene resin (#5PP), is microwave-safe, dishwasher-safe, consumer reusable and eligible for recycling.